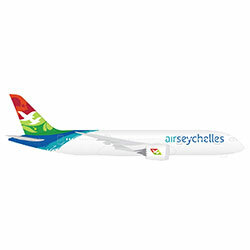 Air Seychelles has announced the launch of a third destination in their Indian Ocean and African network with twice-weekly flights to and from Dar es Salaam scheduled to begin on December 2, 2014. According to the Seychelles Minister for Home Affairs and Transport and Air Seychelles Board Chairman, Joël Morgan, the new route will support the national airline’s objective of improving regional connectivity while improving business and trade opportunities and attracting leisure travelers to the archipelago. “Dar es Salaam is a great addition to our network. The direct link between the capital of Tanzania and the Seychelles underscores our ongoing commitment to serve the region,” he said. In addition to passenger transportation, the A320 aircraft will have the capacity to support the transportation of 7.2 tons of cargo to and from Tanzania, which is expected to improve trade between the two countries. Air Seychelles, which was established in 1977 as Seychelles Airlines and adopted the present title in September 1978, currently offers cargo and passenger services to a total of 39 cities and destinations around the world.